We’ve covered Atlanta’s Best Bartender and shown off some local flavor from the 10th Annual Taste of Atlanta. We just had to share more of the amazing food shots our steller photographer Kevin Patrick captured. 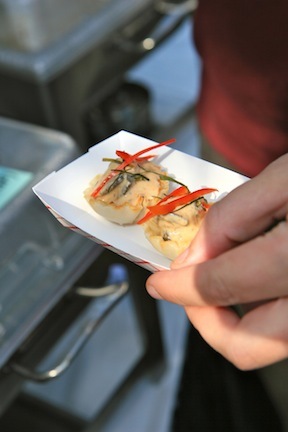 From escargot to tacos, donuts and happy faces we bring you a few memorable moments from the 2011 #TasteofAtl. If you were blessed to attend this two-day foodie heaven, what were your favorite dishes? Who were some of the restaurants that stood out to you? These are just a few of our faves. 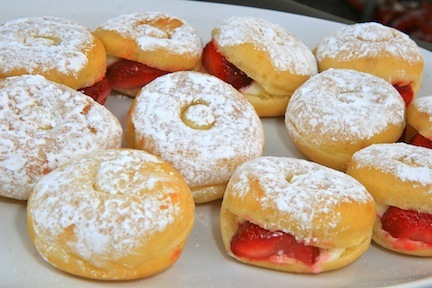 Strawberry and cream doughnuts topped with powdered sugar from Sublime Doughnuts. Goo! 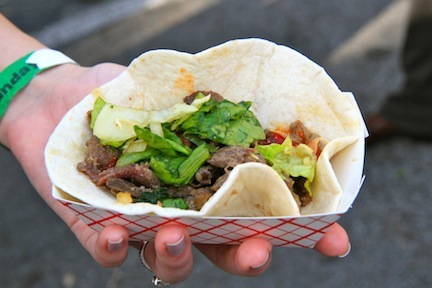 Ribeye Tacos with cilantro, lime and hot sauce from the newly opened Takorea in Midtown. 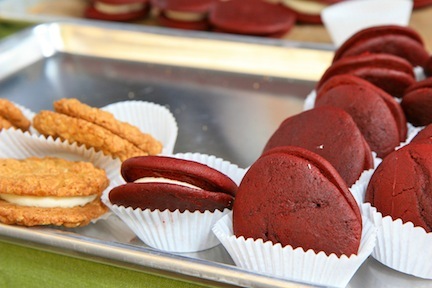 Red Velvet Whoopie Pies by West Egg Cafe. This joint also offers the most amazing buttermilk chess pie. 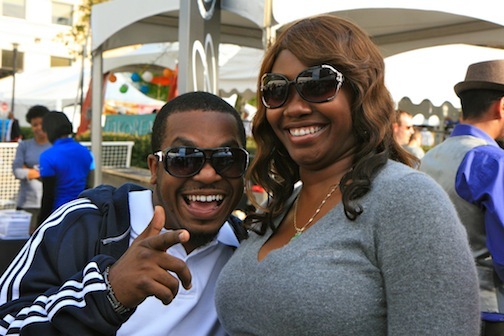 Smiling, happy foodie fans at Taste of Atlanta. Anyone out there know these good lookin' folks? We had a blast at Taste of Atlanta. For more of our photos, check out Kevin’s photo stream (for media out there, we’d be happy to share our photos with you as long as you give credit to Pretty Southern). To read more about this stellar event, check out our Tweets on @Pretty_Southern. Thanks for coming along with us on our culinary extravaganza.